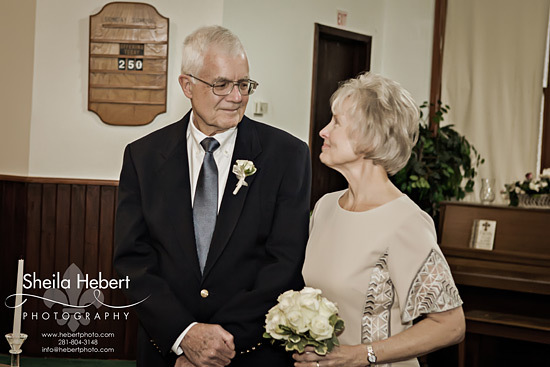 This may be one of the sweetest weddings that I have done in my entire photographic career!!! 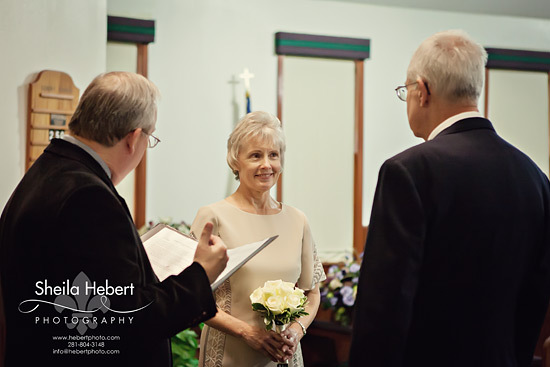 Ms. Debbie and Mr. John were married on January 16, 2016 at the historic First Concord Baptist Church in Rye, Texas.. The original church was built in May 1845 and General Sam Houston attended services here as well. Talk about some fabulous Texas history! The ceremony was very intimate and absolutely perfect. After the ceremony the wedding party moved to The romantic Retreat at Artesian Lakes just outside of Cleveland. Here they had the most wonderful reception dinner – and I should know because they actually invited me to join them for dinner (which I was so thankful for — it was delicious). 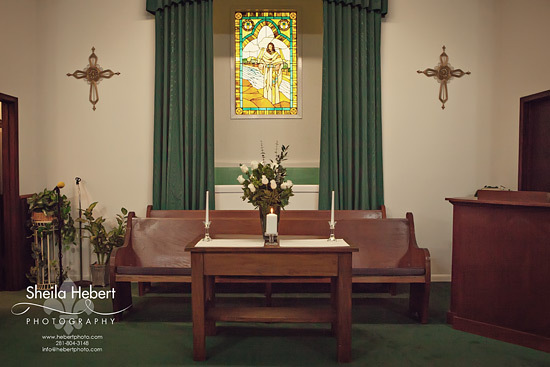 Altogether is was the perfect setting for the perfect wedding. Congratulations Mr. and Mrs. Griffin I wish you all the happiness in the world! Thank you for allowing me to be a very special part of your day. I so appreciate it and it was a pleasure to work with you all!!! With Valentine’s Day unless than a month away, I’ve been asked quite a few times when my Valentine’s mini sessions will be. The answer is there won’t be a set date. But have no fear, I still have cute prop and backgrounds available for all. In fact, I’ll be doing away with all mini-sessions all together, with the exception of a few special events that are planned throughout the year. Yes, that’s right – NO MORE MINI SESSIONS (for the most part anyhow). I will offer QUICK TAKE sessions though (or you can “add-on” for any full session). Read on to find out the scoop. Over the last year I noticed that whenever I set a date for mini-sessions the date just didn’t work out for most people. I totally get it, we are just so busy these days. I had more people call and request to do a “mini-session” on dates that were convenient for them, rather than the dates that I set aside. And of course, I did them when I could. But this sparked a debate going on in my head – I set the mini-session dates and only made that type session available for that day or couple of days. There were times when I had to turn away a family session that could only take place on a certain date (son or daughter home from college just for the weekend, for example) because I had already blocked a date and time for mini-sessions. So that got me thinking … maybe instead of scheduling a mini-session on a certain day(s), I should just make them available all season long or all month long or whatever that type session may call for. Most of my mini-session themes take a only a few minutes to set up or already set up outside & ready at any time (like the Pumpkin Patch). I did some light experimenting with this during the last Christmas season with my “Christmas Cookies & Milk” sessions. I didn’t have a certain date set aside for these. Instead I just made it available whenever my clients were available. Some people requested just the “Christmas Cookies & Milk” session (which I call a “Quick Take” session) and some people wanted a full session with the “Christmas Cookies & Milk” as an add-on (maybe after a family session or as an add-on to a regular “Baby Club” session). You know what…it seemed to work out perfectly. I didn’t have to block off the whole day or two whole days just for one type of session and my clients were able to come when it was convenient for them (some came before work, after work, or just when they had the time open). So I was able to go on with my regular sessions and do the cute themed-sessions all at the same time. Win-win for all! So that’s my plan for now — no more mini-sessions offered only at specific dates (again, with the exception of a few of the more elaborate sets…more on those later). But I will still be offering monthly/seasonal themes. These sessions can be scheduled either as a “Quick Take” session (about 20 minutes or so and your child will only be photographed on the current theme set) or as an add-on to a full session (at no additional charge of course). I’ll give an update soon on some of the monthly/seasonal themes I have planned for the year, but for now it’s getting close to Valentine’s Day and I’m already getting close to the deadline date. But there is still time left to schedule your Valentine’s Day Quick Take sessions. Give the studio a call (281-804-3148) or send me an email (info@hebertphoto.com) to find out the next spot I have available. The Valentine’s Day theme will be available until February 13, 2016 and the Monthly Quick Take sessions are only $45 (special collections are available as well). I’m honored that my first blog post of 2016 is dedicated to Ms. Edna!!! She’s 88 years young and so full of life! Ms. Edna’s granddaughter, Sheila (what a GREAT name lol), contacted me a few weeks ago to see if this was something I could do. ABSOLUTELY and it was truly my honor to have her in front of my camera! In the short time that I had Ms. Edna in the studio, I can tell you that she is full of life and makes every moment count – she was so inspiring to me. At 88 years young she still mows her own lawn and takes care of her garden!!! How amazing is that?!?! Tomorrow Ms. Edna and Sheila come back in for their “preview” appointment and I hope they feel that I captured the true beauty and personality of Ms. Edna. Thank you ladies for choosing me to create such special memories!! !